A crew of Forest Service workers clean up the site of an illegal marijuana operation in July. There were thousands of feet of black irrigation pipe that had to be collected. REDSTONE — U.S. Forest Service workers undertook an extensive effort last month to clean up the mess at an elaborate illegal marijuana growing operation and restore natural conditions in a patch of national forest in the Crystal Valley. 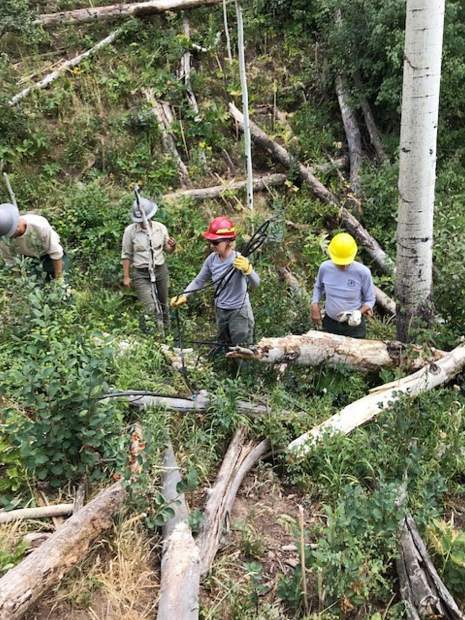 A crew of eight workers from the Aspen-Sopris Ranger District spent one day collecting garbage that ranged from kitchen refuse to several hundred yards of drip irrigation piping used to water the pot plants, according to District Ranger Karen Schroyer. 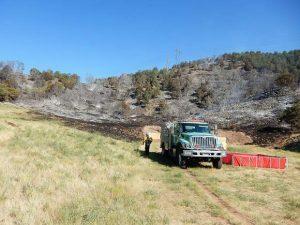 The garbage was consolidated at the site and will be flown out when helicopters stationed at an interagency base in Rifle aren’t consumed in firefighting efforts, she said. The trash will be flown down to Highway 133 and trucked to an area landfill. The illegal grow operation was discovered last September by a hiker about a half-mile off Highway 133 in steep, heavily vegetated terrain near the Placita Trailhead south of Redstone. Forest Service law enforcement officers and officials from other agencies converged on the site Sept. 28 after obtaining a search warrant. They arrested one man but another escaped into the surrounding mountains. Fernando Esquivel Herrera was charged with conspiracy to manufacture and distribute marijuana plants, according to the U.S. Attorney’s Office in Denver. 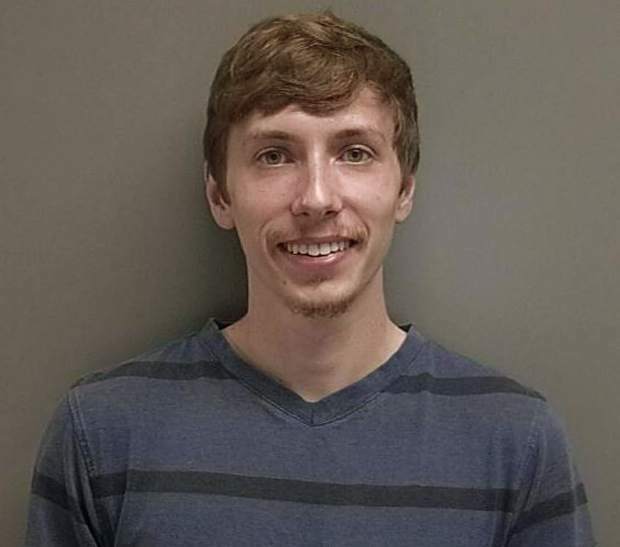 He was sentenced to five years in prison. The attorney’s office said in a statement that 2,700 marijuana plants were discovered growing on the site and about 3,000 had already been harvested. Esquivel Herrera was ordered to pay $18,300 in restitution as part of his sentence. Schroyer said that is the estimated cost of the cleanup, including the future use of a helicopter. The Forest Service is uncertain if it will ever collect the restitution. A natural resource specialist for the agency visited the site in October to assess the cleanup operation. “The largest impacted area I observed was what I consider the ‘garden’ area where it appears several thousand marijuana plants were cultivated using modern and intensely managed techniques,” the specialist’s report said. He estimated the affected area at 1.5 acres. The gardeners built terraces in the steep terrain to expand the space where they could grow. They excavated a catchment basin of about 30-by-30 feet and constructed an earthen dam to collect water. “Several hundred yards of 1-inch black plastic piping (buried) leave the basin and lead directly to the growing location,” the pre-cleanup report said. The gardeners used seven piles of cut branches and brush to camouflage parts of the operation. They hid everything from fertilizer and tools to clothing and garbage. The disturbed area also included separate kitchen and camping areas, the report said. Before sending in its crew last month, the Forest Service first hired an accredited laboratory to test if the site contained toxic chemicals. Schroyer said nothing more than common fertilizers were found and the site didn’t test positive for toxins. It was deemed safe for a Forest Service crew to enter. The terrain was so steep that experienced hikers from the trails and wilderness ranger crews were recruited for the cleanup, she said. They discovered that the forest had already done a good job of reclaiming the site and that reseeding wasn’t necessary. “We’re feeling really good about it,” Schroyer said. However, the crew did find a surprise. 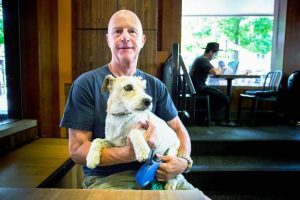 “There were a handful of pot plants that survived the winter, somehow, and needed to get cut down,” Schroyer said.